Previous TechCrunch Battlefield Contestants Have Raised $2.4 Billion. Ready To Apply? 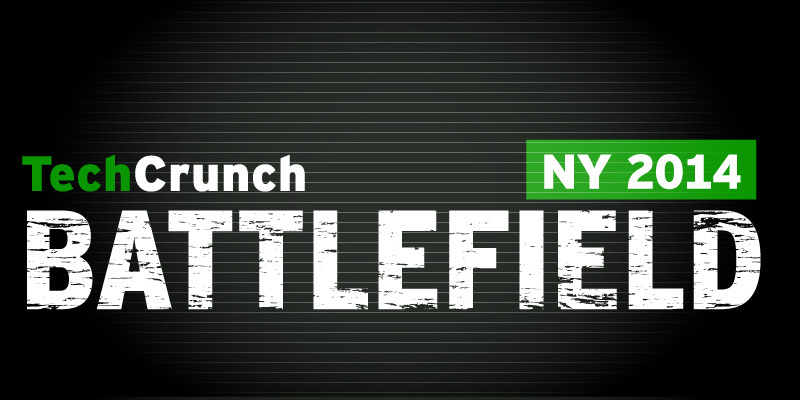 TechCrunch’s Battlefield is a proven springboard for startups destined for great things. Fact. We ran the data and we’ll take you through it below. But before we get to that, we’re announcing that it’s time to apply for the next Battlefield at TechCrunch Disrupt NY, May 5-7. The application deadline is February 20, 2014. TechCrunch writers and editors will read each and every one of those applications and select approximately 30 of the most innovative, under-the-radar applicants to appear onstage at Disrupt in New York City. The entrepreneurs will pitch world-class judges from the venture and entrepreneurial worlds. The winner will take home the Disrupt Cup and a check for $50,000. Along the way, the final 30 contestants receive world-class coaching on their pitches, exhibition space at Disrupt, feedback from some of the biggest names in tech, and invites to awesome parties. When they take the stage to make their pitches, they will do so before a rapt audience of 1,500 people in the auditorium and tens of thousands more watching the live stream. There is no platform like Battlefield to showcase a startup. In total, Battlefield companies have raised $2.70 billion. Of that, the companies raised $2.4 billion after participating in Battlefield. For those of you about to make the correlation vs. causation argument, consider this: Within the 12 months after competing in Battlefield competitions, the companies raised $520 million, or about $5.2 million per company,* on average. If nothing else, it looks like Battlefield conclusively helps companies navigate the Series A crunch. It’s true that there are a few highly successful Battlefield alums who, were we operating in the VC world, would account for over 90 percent of Battlefield’s returns. But even when you remove those rocks stars from the line-up (Mint, Yammer, Dropbox, Fitbit) the rest (194 companies) still managed to raise over $2 billion, after they participated in Battlefield. Setting aside funding, how did the companies turn out? The answer is that today 79 percent of Battlefield companies are operational, 15 percent have exited, and 17 percent have closed. Exits are spread out over the lifetime of TC-40 and Disrupt. Of the 51 acquisitions, the majority come from the years 2007 through 2010, but that should not be a surprise. On average exits companies took place 2.5 years after participating in the Battlefield. We’re eager to see how our 2011 and later batches perform. Not every Battlefield company continued exactly on the course it pitched on stage. Pivots happen. Take Sean Rad of Tinder, for example. Sean’s Cardify, a customer retention platform, participated in the Battlefield NY 2012 but afterwards decided to shift focus to a side project that became Tinder. We are really proud of Battlefield’s success in elevating great startups, and the startup world has definitely caught on. Back in 2010-2011, our acceptance rates hovered between 8-10 percent. In 2013, that number ranged from 2 to 5 percent for New York, San Francisco, and Berlin. As with any investment portfolio, there are successes and great lessons to be learned with each new batch of companies. We’re constantly evaluating our selection process and on-site experience to both find the best teams and support their early-stage growth. Interested? Apply now to join us onstage in at Disrupt NY. *Per company that has raised. On average 28% of participating companies raise funding within 12 months. Important to note, that not all contestants are necessarily trying to raise money in that time span.